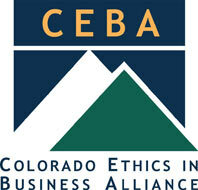 Keller Bros. was honored to receive the Ethics in Business Award from the Colorado Ethics in Business Alliance. The following article about Keller Bros. and this award are from Colorado Biz Magazine. At Keller Bros. Auto, the mantra driven home to employees is “to teach, never to sell,” and that philosophy has helped the Littleton shop grow to an operation with 11 service bays and 23 full-time employees who service more than 700 cars per month. The business’ roots go back to 1974 when Terry Keller purchased Southglenn Texaco. In 1995 he purchased the shop location at 250 E. Dry Creek Road where it operates today. Although Terry and his wife, Margret, remain the owners, David Rogers has been the chief operating officer since 1998 and handles the shop’s day-to-day operations. Keller Bros. goes to some impressive lengths to illuminate those car-repair truths, as Rogers puts it. That includes showing customers relevant websites, sending them digital photos of areas in need of repair, or inviting them into the service area where the car is elevated to show what was done. Sometimes a completed job is even taken apart to demonstrate a repair to a customer.